If you were to ask us about To Write Love on Her Arms, about who we are and what we do, we could share the stories of the last 11 years. We could show you photos and notes and letters and tweets from people in more than 100 different countries, people choosing to have honest conversations about their questions and their struggles and their pain. We could bring you along to music festivals and high schools and colleges and conferences, to all the places we go to talk about hope and help, to let folks know they’re not alone. We could introduce you to our full-time team of 25, who wake up and do this work day after day. If you have an hour, we could spend an hour telling you all the things we do and dream of doing. If you have a day, we could spend an entire day. Our dream is that people who are struggling would choose to stay. Our dream is that you would choose to stay. If you stay, it changes everything. Because if you stay, you leave room for change. You leave room for things to get better. If you stay, there’s still time to be surprised. And if this one word were to move you, if hearing stay inspired you to ask for more, we would tell you it’s okay to be honest, that you can say your pain out loud. We would remind you that people need other people, that you were never meant to live this life alone. We would tell you that you’re worth whatever help you need and that help is the step after stay. We would introduce you to our friends at Crisis Text Line and the National Suicide Prevention Lifeline. We would encourage you to talk to a professional, because we’ve seen them help so many people. We’ve seen them help our staff and our interns, our friends and our families. i would tell you about my own struggle with depression and i would tell you how much counseling has encouraged me to stay. And we wouldn’t simply say stay and tell you to get help. We would talk about the why as well. We would ask about the dreams inside of you. We would ask you to stay for every future joy. For the next album you’re going to love, the best concert you haven’t been to yet, that love story you’ve been waiting on, the kids you have or dream of having. One year ago, we introduced our campaign with the words, “U.S. Suicide Rate Surges to a 30-Year High.” It was a headline borrowed from The New York Times. Since then, we’ve seen “13 Reasons Why” become the most tweeted-about show of 2017, leading to a significant rise in suicide-related searches online. We’ve lost Chris Cornell and Chester Bennington. We’ve lost names lesser known but no less important, sons and daughters, sisters and brothers, mothers and fathers and friends. All people we wished would have stayed, would have found what they were made for. And we know that every day in America alone, 20 veterans die by suicide. What do these statistics tell us? That suicide affects all sorts of people: young and old, rich and poor, in America and beyond. And that so much of the problem is the stigma surrounding mental health, the stigma that reinforces silence and shame. So we’re asking you to break the silence and to help us spread the word. We’re asking you to help lead this conversation. We’re asking you to buy one of our WSPD packs, to bring this campaign to your community. We’re asking you to help us raise money to fund treatment and recovery, so that we can connect people to mental health resources. Included in each pack is a shirt, bracelet, response card, four stickers, and 15 info cards, featuring our theme: “Stay. 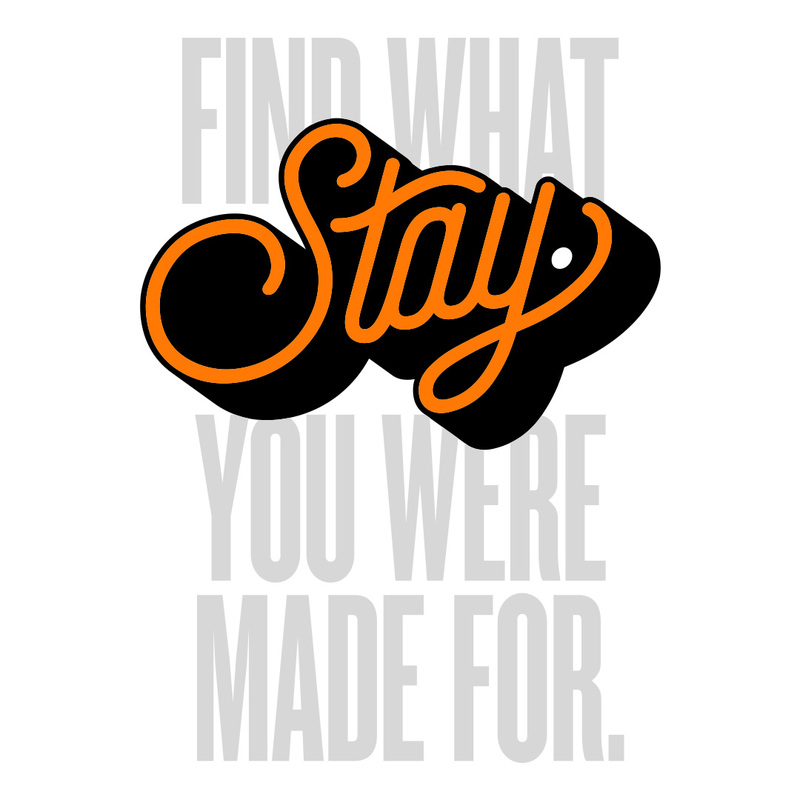 Find what you were made for.” The design includes the color orange, which is often associated with suicide prevention. The purpose of these items is not only to raise awareness for suicide prevention, but to also start conversations within your community—both in person and online. Wear your shirt and bracelet on World Suicide Prevention Day (September 10), place the stickers and info cards in spots they will be seen, and share your response card with us using #IWasMadeFor and #WSPD17. Help us provide counseling and treatment scholarships for those struggling with mental illness, and fight the stigma surrounding mental health. Until the end of National Suicide Prevention Week, every dollar you raise through our Classy page will go directly to funding treatment and recovery. You can also donate directly to the campaign here. Fill out your response card (available for download below) and share it with us on social media. When posting, use #IWasMadeFor and #WSPD17. And don’t forget to tag @TWLOHA on Twitter and Instagram. During National Suicide Prevention Week (#NSPW17), keep an eye on TWLOHA’s social media channels as we share more ways for you to participate with us. Use your phone to film a short video of yourself saying “Stay.” And then finish the sentence: “I was made for _________.” Make sure to film the video in a well lit area with your phone turned horizontal, and then email your video to WSPD@twloha.com.